It's Christmas on Keeping Up With the Kardashians. However, before the celebrating could begin, the Kardashian-Jenners had to hash out some of their beef. On this week's episode of KUWTK, tensions continued to rise between Kim Kardashian, Khloe Kardashian and Kourtney Kardashian. 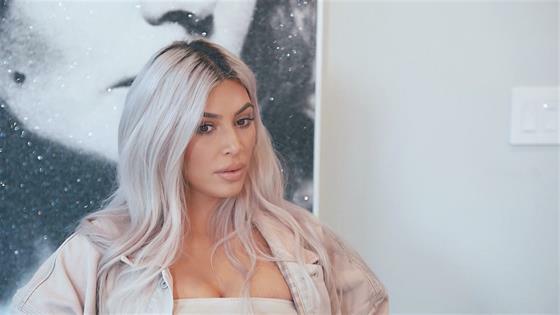 "We really haven't resolved anything with Kourtney since the therapy session," the KKW Beauty boss admitted in a confessional. "We've so much more to really hash out and it just hasn't happened yet, so we've just all been kind of walking on eggshells around each other." This was made abundantly clear when Kourt expressed the unpopular opinion that she didn't want ex Scott Disick to attend Kris Jenner's Christmas Eve party. "You have to invite Scott," the mother of six demanded to her oldest. "You can't just have him come to a party for 10 years as part of our family, he's still part of our family." 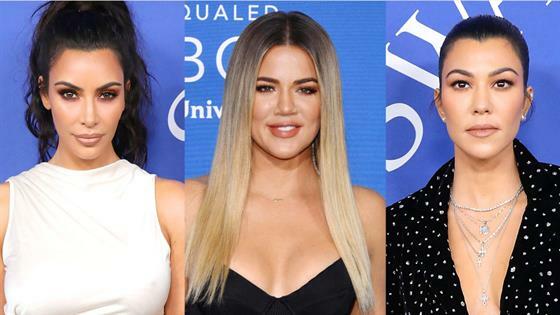 Unsurprisingly, this stance ruffled more than just Kourtney's feathers as Kendall Jenner brought up the family's falling out with her dad Caitlyn Jenner. "Scott has never done anything mean or said anything negative," Kim quickly defended. "So that's different." "Is that actually a joke?" the supermodel snapped back. "They've both done f--ked up things in different ways." While Kim and Khloe were on Kris' side, Kourtney ruled that the Scott decision was ultimately her call. "This is exactly why my sisters and I haven't been getting along. They just don't have my back and they don't take my feelings into consideration," Kourt shared with the KUWTK cameras. "And now I feel like the same thing's happening with Kendall. If it's not exactly what they think there is always criticism and judgement and I'm not here to be criticized every day." Per Kourtney, she's "so over everyone and their bitchiness," which explains why she later confided in Kendall that she wanted to skip Christmas with the family this year. Although Kendall understood Kourt's side in the familial feud, she urged her sister to stay in town for the holidays. During a FaceTime call with Kim and Khloe, the catwalk expert spilled the beans about Kourtney's alternative Christmas plan. "She told me she's going out of town with the kids for the holidays," Kendall revealed. "I thought that was weird, but I tried to convince her out of it a little bit." Understandably, this only worsened the drama between the older Kardashians, with Kim even suggesting that Kourtney's decision was a "cry for help." "She drives me so crazy, I just don't even know what to do," an exasperated Kim added. "I just think, given everything that's gone on, the last thing we need is separation like this," the Good American founder later stated. "The divide is gonna get worse and worse the more time that we just ignore what's really going on." Eventually, Kourtney chose to stay in town for Christmas and extended a party invitation to Scott. This gesture came after Disick promised to be cordial to her then-boyfriend Younes Bendjima. Although this situation in the family was settled, Khloe had bigger things on her mind as she was itching to announce her pregnancy. However, KoKo was still waiting on youngest sister Kylie Jenner to announce her baby news. Apparently, Khloe just wanted Kylie to have "her own time to shine," especially since she planned to announce her news with a big pregnancy photo shoot. Not to mention, Khloe felt she should stay out of the public eye until her baby bump popped. "I'm just like, chubby right now," the pregnant reality TV veteran confessed during a conversation with Kris. "I don't want someone to be like, 'Are you pregnant or just hungry?'" In an attempt to get Khloe out and about, Kim later brought her sister along for a prank against their mom. 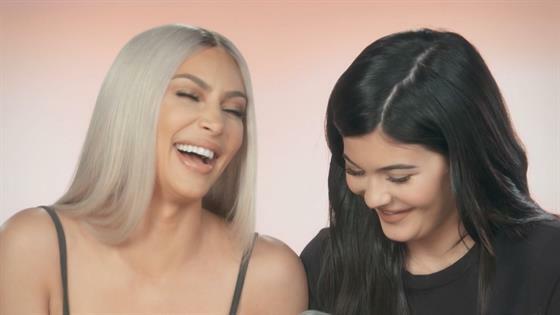 Since Kris tee-peed Kim's house when the latter was pregnant, Kanye West's wife thought it'd be funny if she and Khloe toilet papered Jenner's home. This was merely the second prank against Kris that Kim orchestrated, as she also convinced the matriarch that Kourtney was poisoning her. In actuality, a change in medication was affecting Kris' well-being. Regardless, Khloe didn't have to stay in hiding for too much longer as Kylie called her and told her that she wasn't going to announce her own pregnancy. "I just don't want to be in the spotlight," the Kylie Cosmetics boss explained. "I'm just gonna be low-key." See everything that went down on this week's episode in the recap video above! Watch a brand new episode of Keeping Up With the Kardashians Sunday at 9 p.m., only on E!